This is the cutest set up in my opinion and it can be done easily and extremely inexpensively. Everything pretty much is from Ikea and the Dollar Tree. These great napkins from Ikea. $1.99 for a 30 pack. 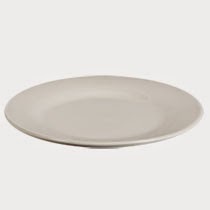 White dinner and salad plates. $1 each from the Dollar Tree. Plastic fangs from the dollar store, 12 for $1.00. Orange and black scrapbook paper. Black goblets, mine were from a thrift store. Plastic bugs from the Dollar Tree. Black spray paint, or your color of choice. For the place card holders, spray paint the fangs your choice of color. While they are drying, print out the names of your guests on cream card stock with black lettering. Cut them out and glue them to a piece of coordinating orange paper cut a little bigger. When the fangs are dry, place them on top of the napkin and add the name card. You can or cannot add the plastic flies and beetles. I believe each place setting was under $6.00, goblets included. Halloween decor but still feels like it! 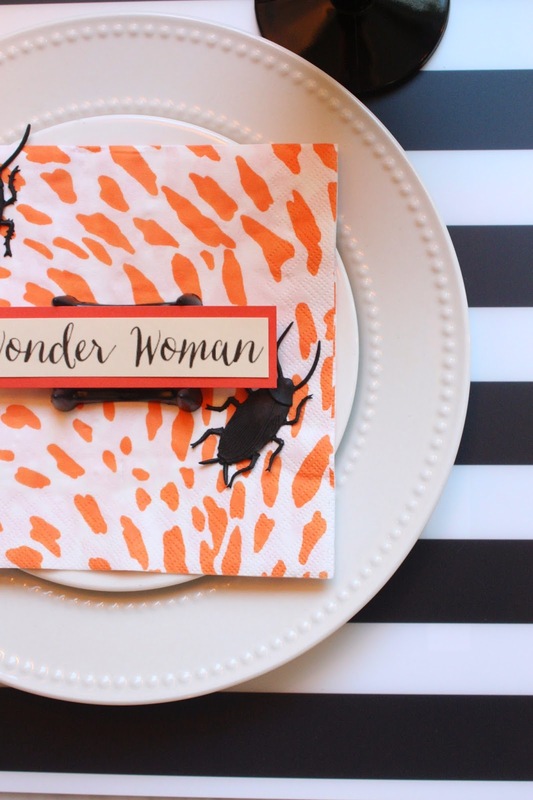 The animal print napkins are my favorite part! Gorgeous. I love this idea. So fun. 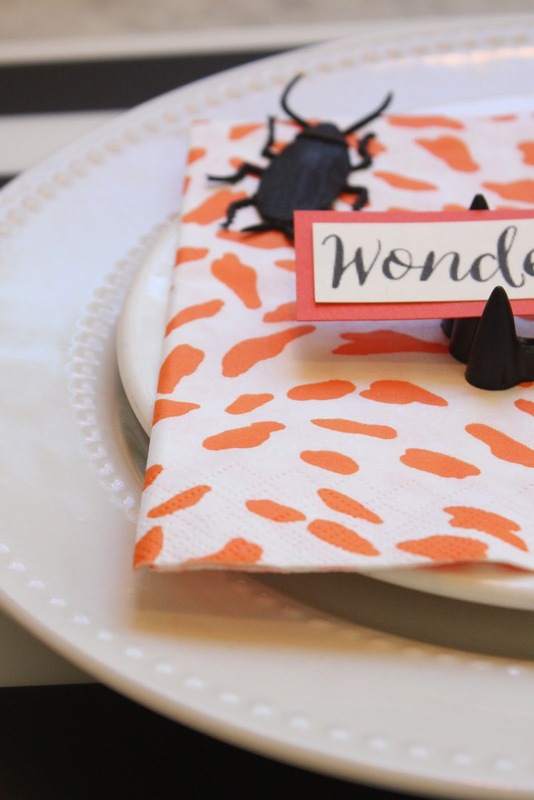 I love this thrifty and super fun table setting! I've got to get my hands on some of those IKEA napkins!!! 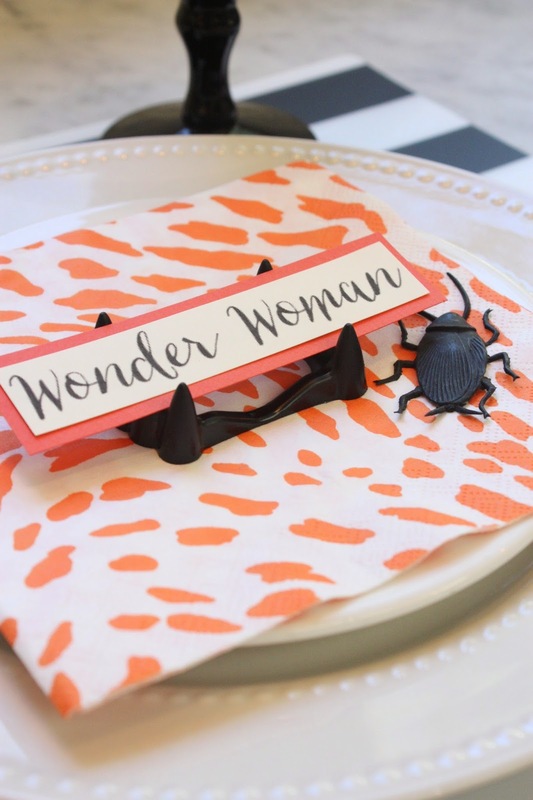 Melaine, What is the name of the font you used on the place cards for the Halloween place settings?